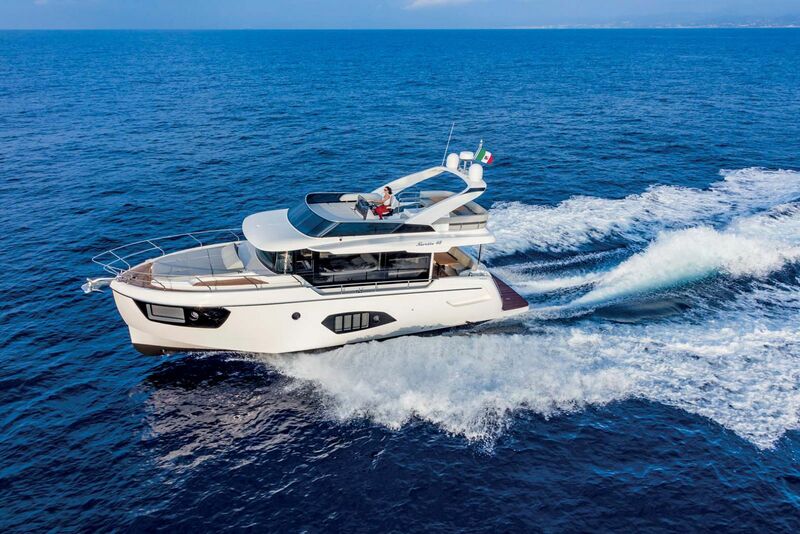 The Italian boatyard Absolute Yachts has shown the reasons which have led it to succeed over the last few years. 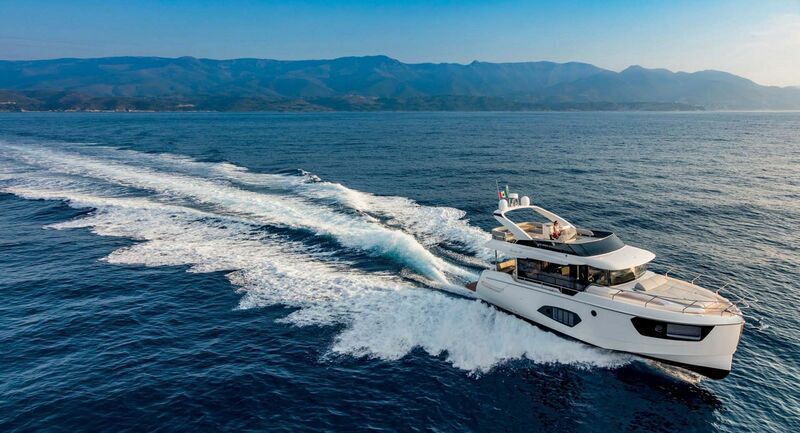 The unstoppable growing path of the brand, which has always aimed to lead the global yachting market, is now represented by new models, including the Navetta 48, new achievements and interesting future plans. 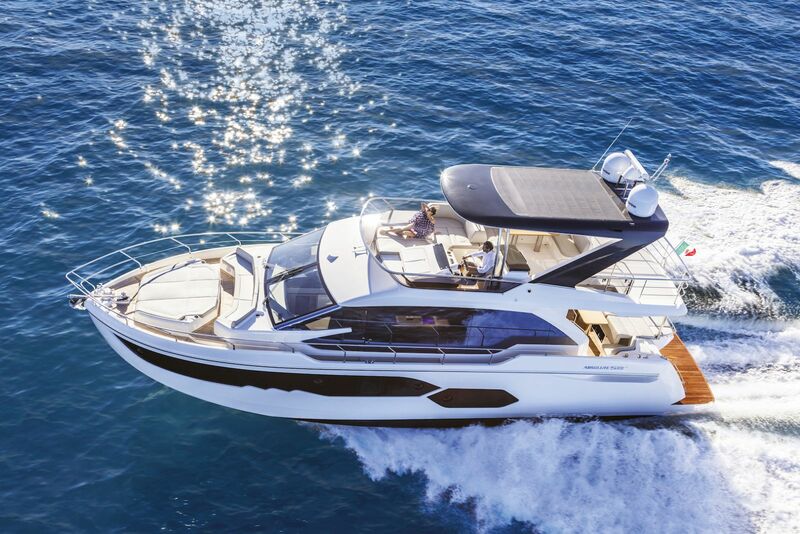 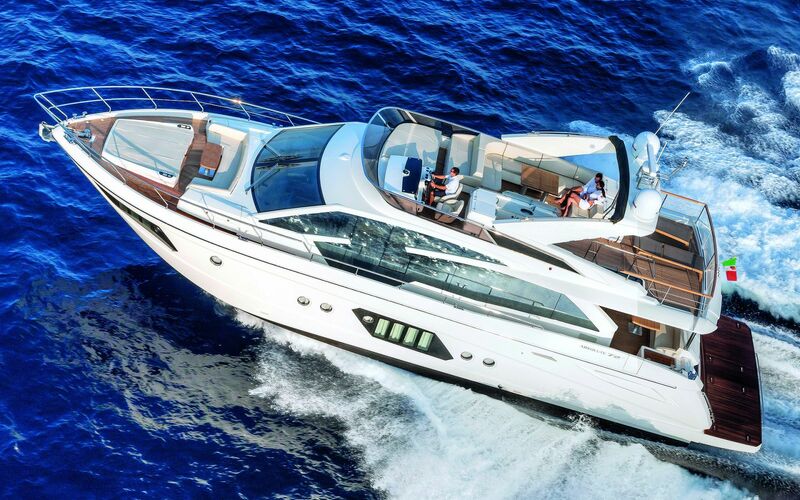 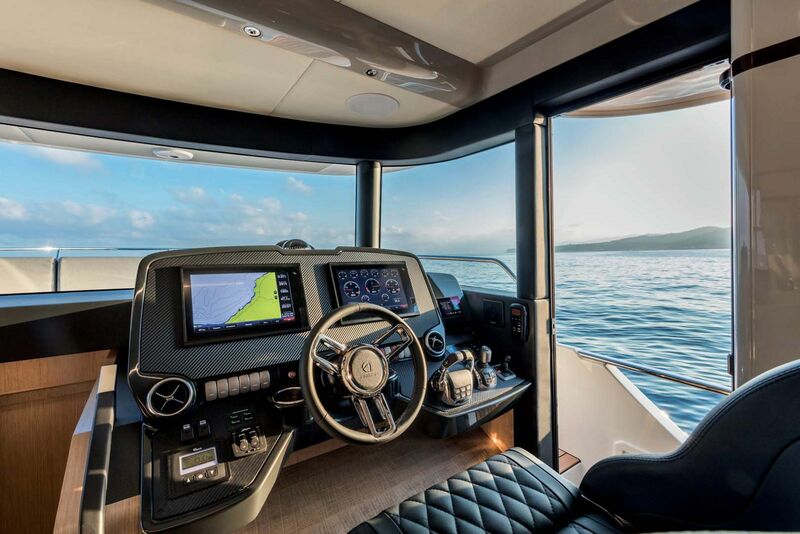 New models are inevitably the elements that boaters find most interesting. 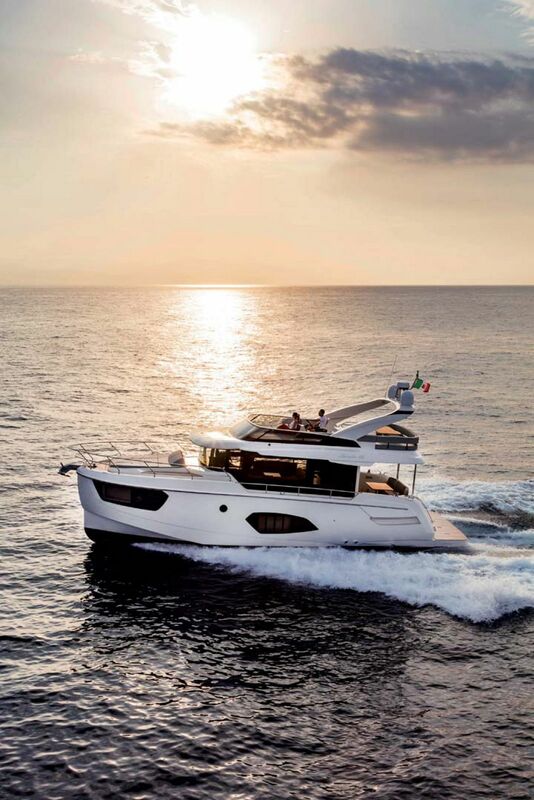 The new, and smallest, member of the Navetta family – a line that has successfully offered a modern interpretation of Absolute’s creations – is a synthesis of all the hallmarks of the range. 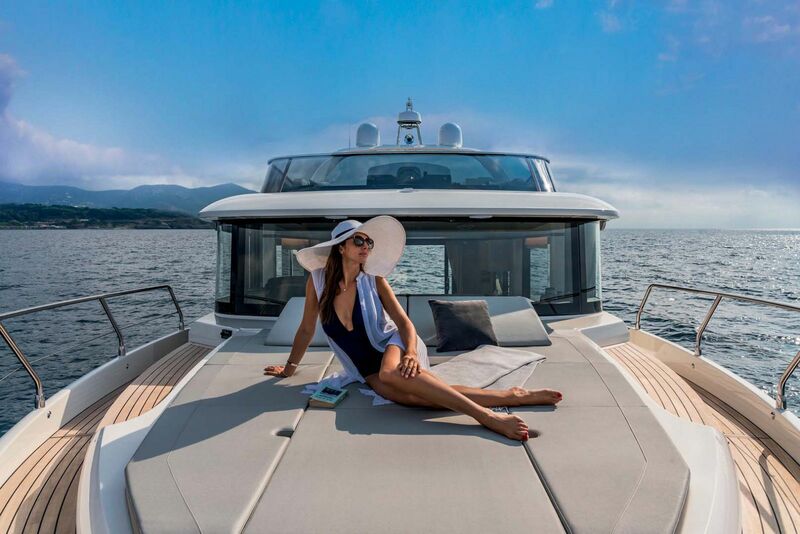 Boasting a length of 49'6" feet, this yacht guarantees high performance and extraordinary fuel efficiency: she burns just 49 miles per gallon. 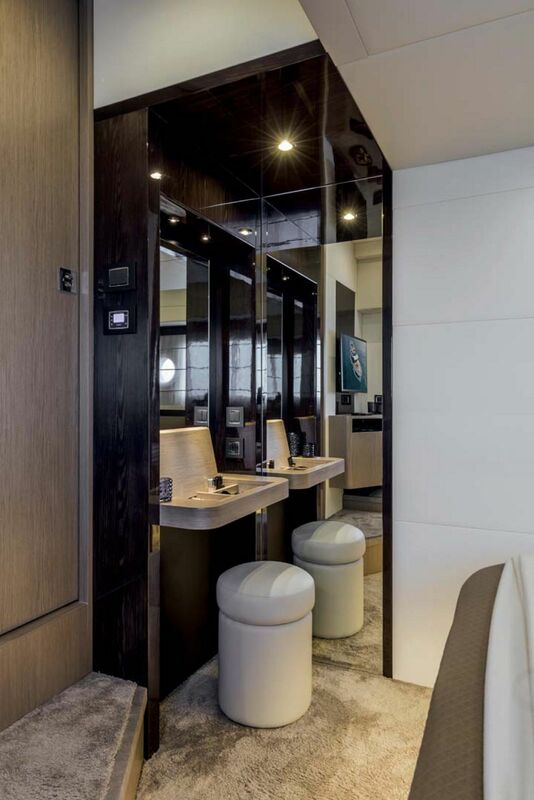 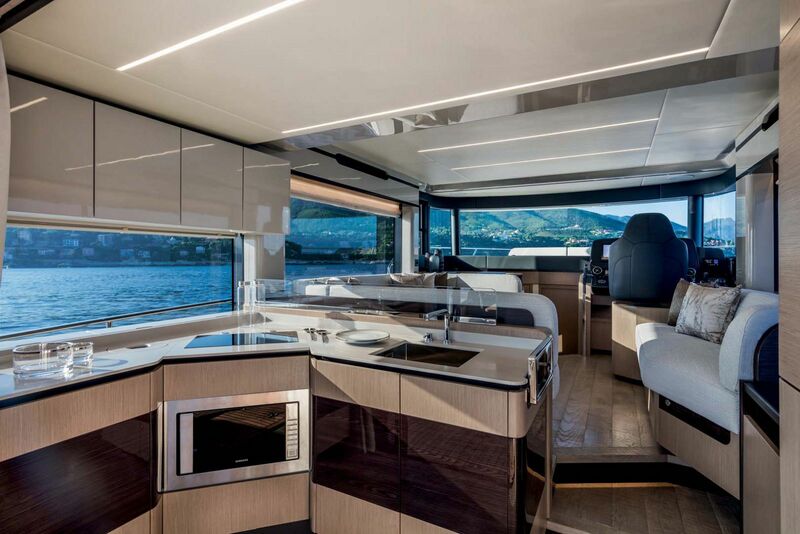 The interior and exterior layouts replicate the unmistakable functionality and aesthetic design of Absolute Yachts. 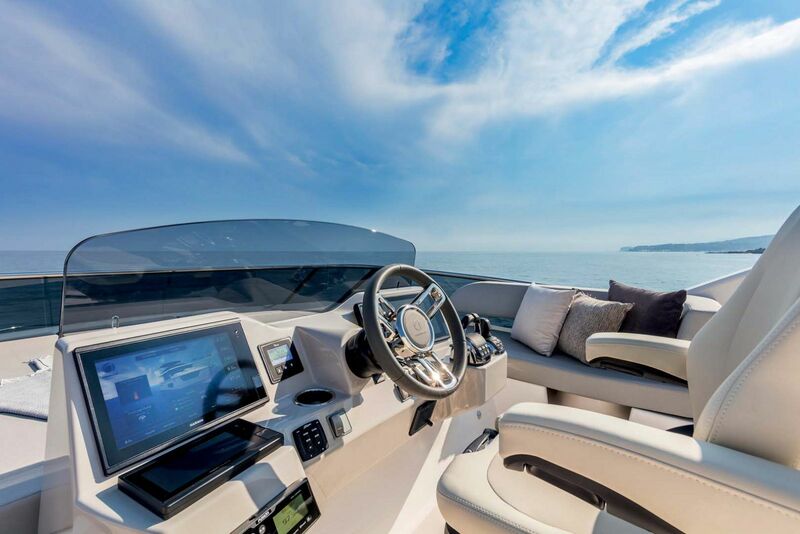 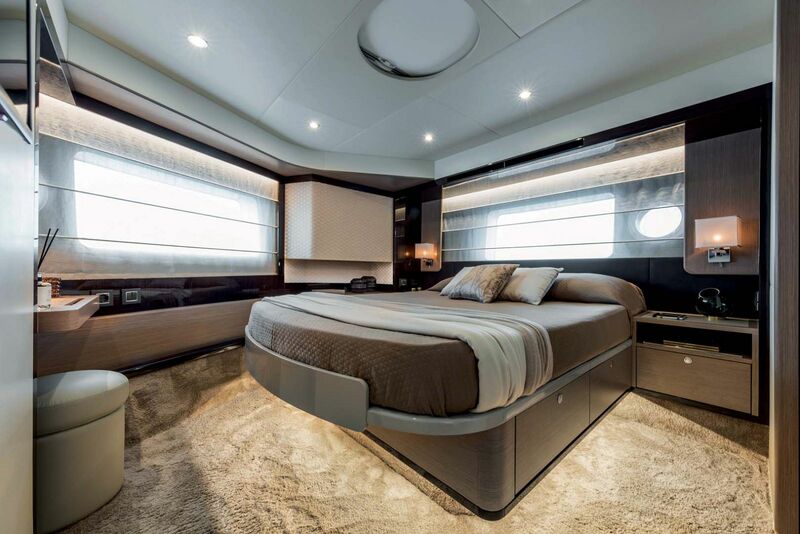 Very large sun pads are positioned on the flybridge, which is the genuine social hub of this boat, and at the bow. 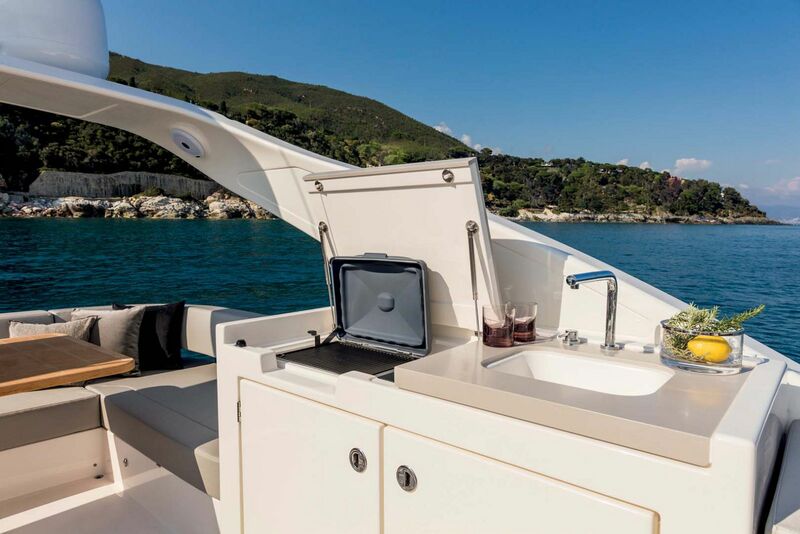 The starboard side door provides access to the helm from the generous side-deck. 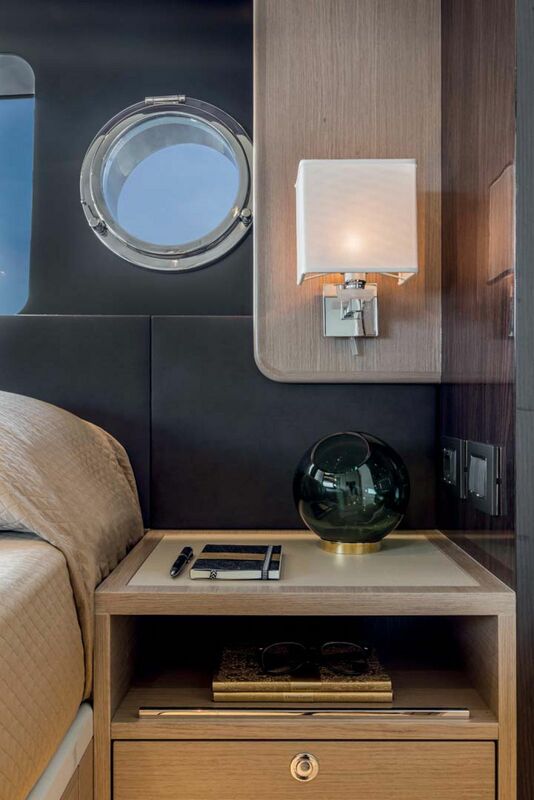 The fully equipped galley remains located next to the cockpit, easily accessible from both inside to the sociable living/dining area and outside through a large folding sliding door. 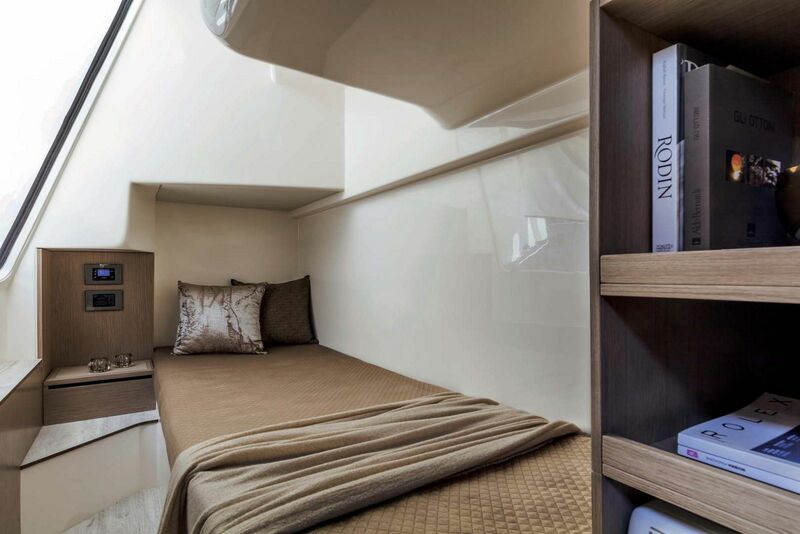 Benefiting from the generous hull volumes, the lower deck hosts three staterooms, each with en-suite bathroom, plus a crew cabin stern. 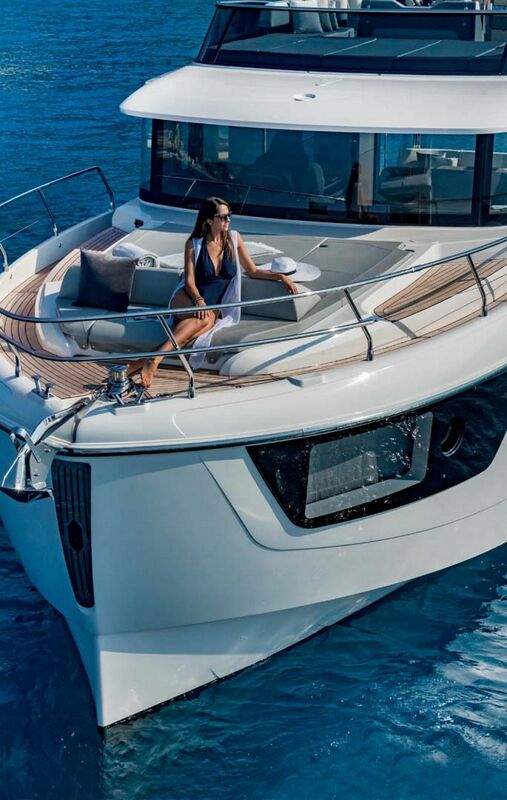 Small is a relative term because the Navetta 48 looks like a very substantial boat. 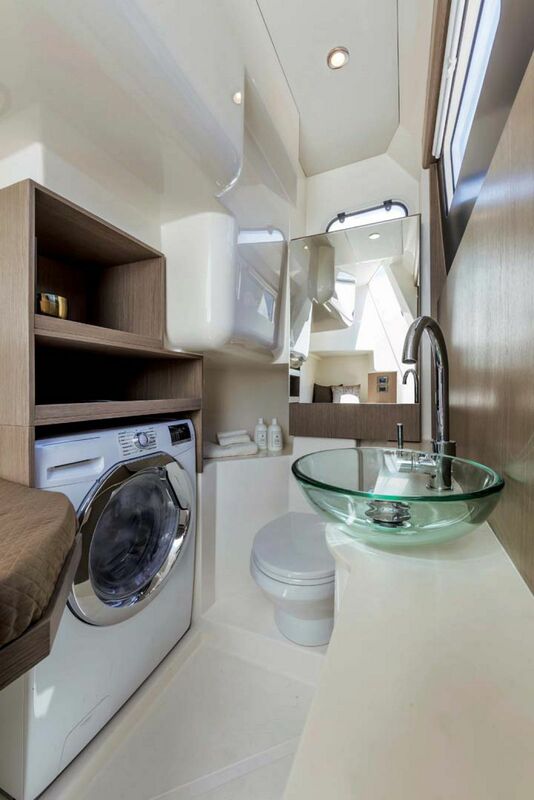 In fact, at just under 50 feet long and with the same 15 foot 3 inch beam, you won’t miss the additional couple of feet. 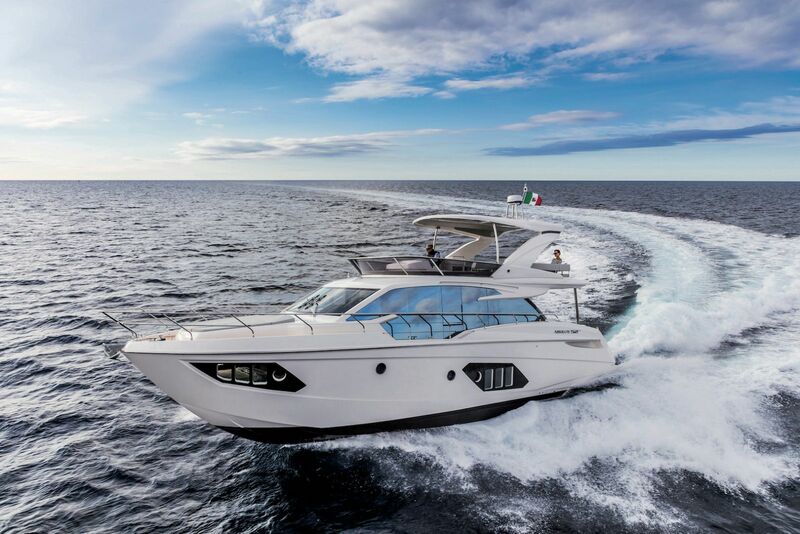 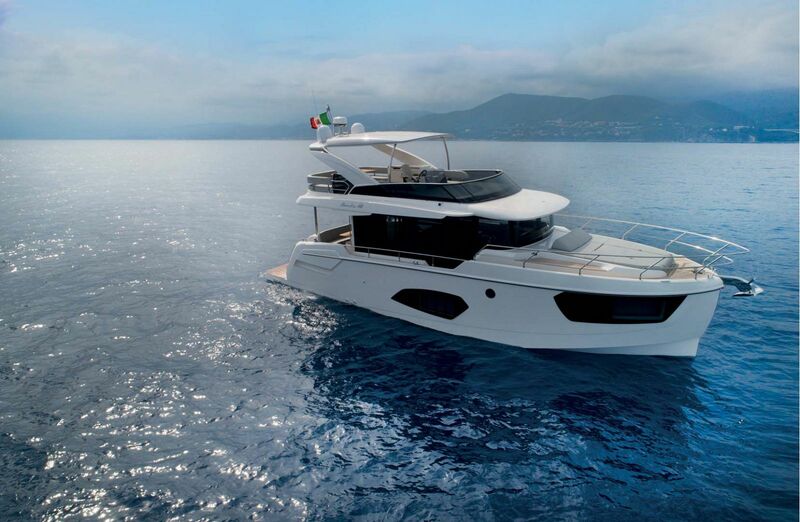 Powered with 435hp IPS600 pod drives the Navetta 48 packs the same punch. 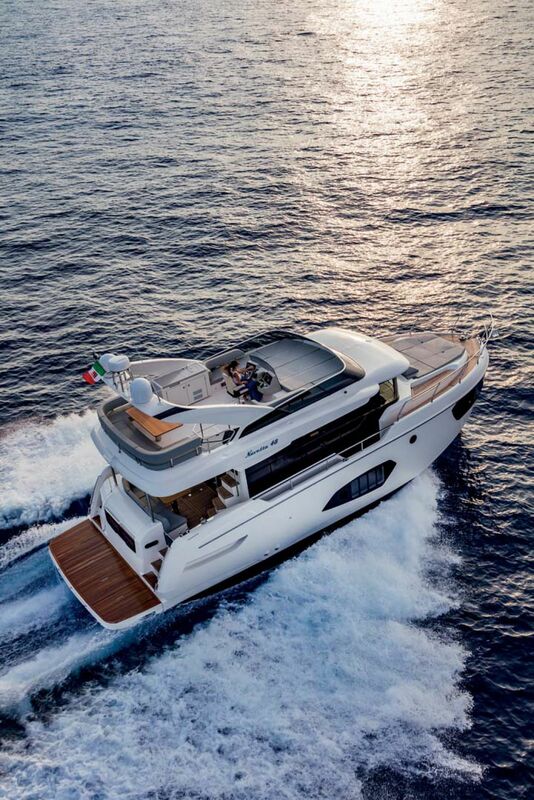 The shorter superstructure naturally has a more compact layout compared to it’s sibling the Absolute 52 Navetta below deck, but, Absolute carefully and creatively managed to incorporate two excellent staterooms and a third with twin berths. 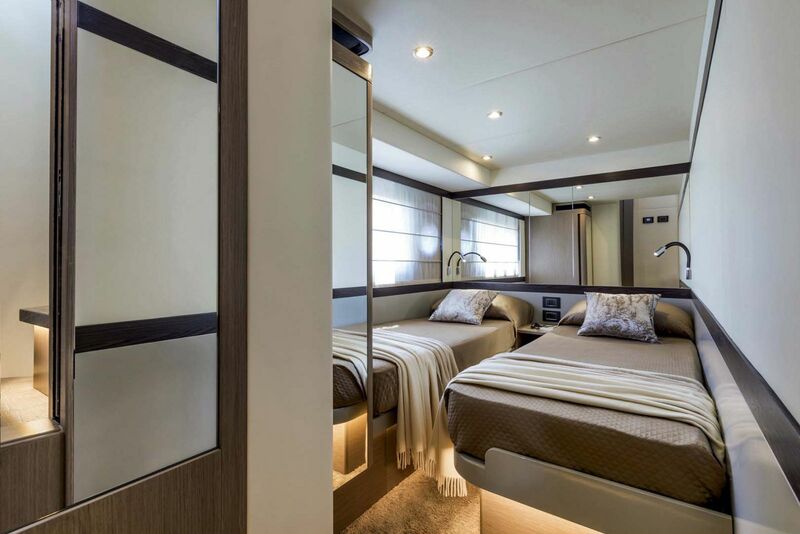 The master suite is set forward with an offset island berth and an ensuite head alongside, it’s a clever solution that works because of the unusually beamy bow sections. 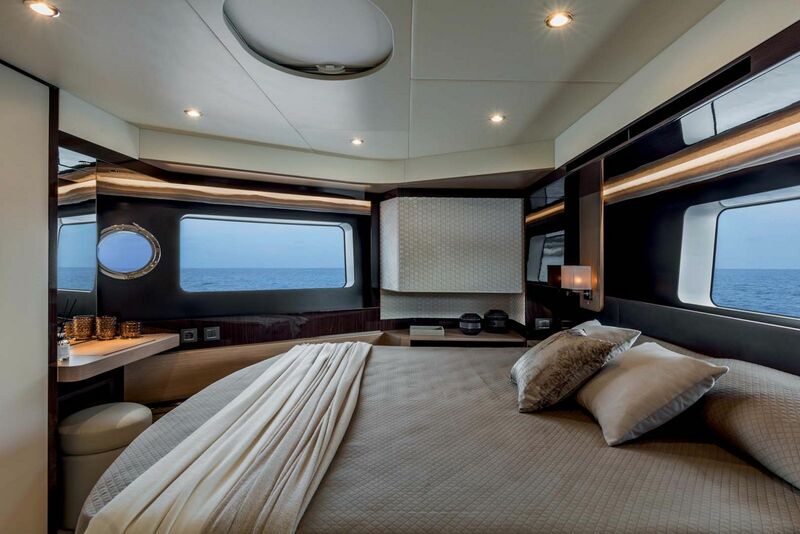 The additional two staterooms are separated from the master via companionway and share a very generously proportioned guest head. 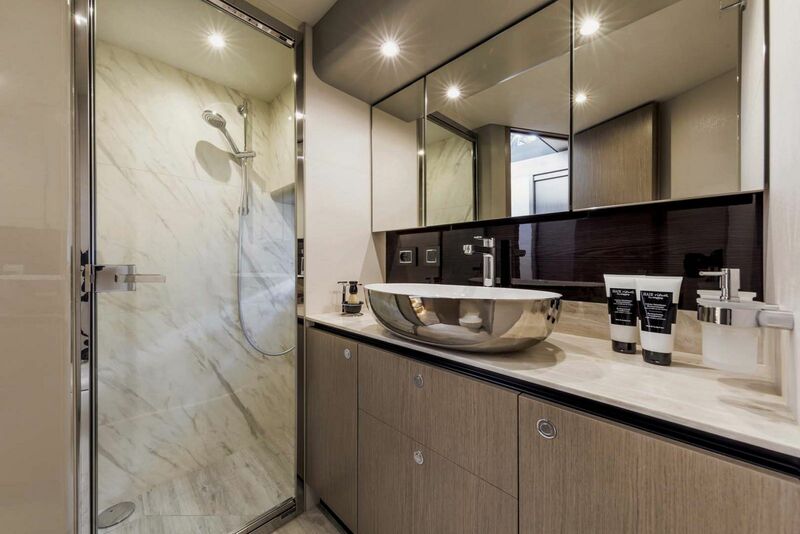 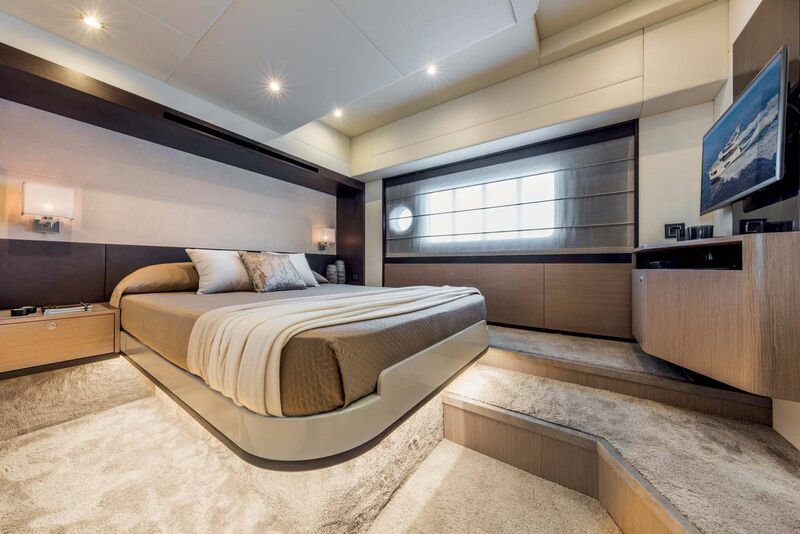 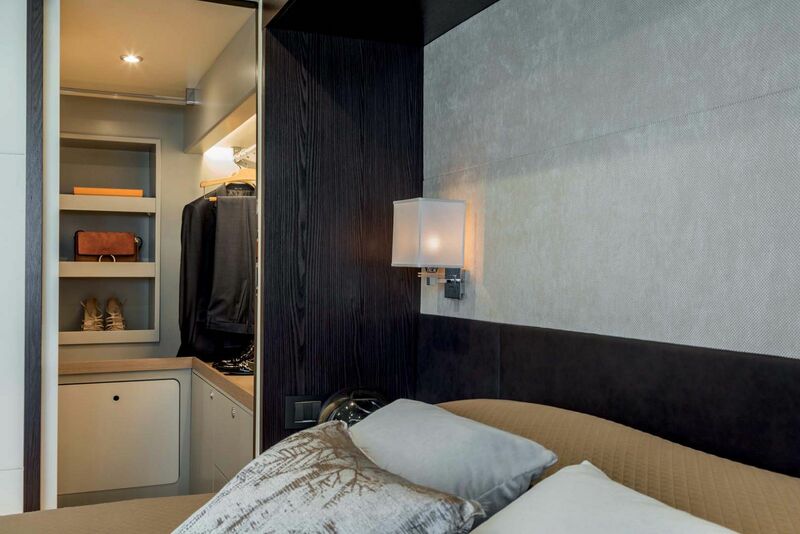 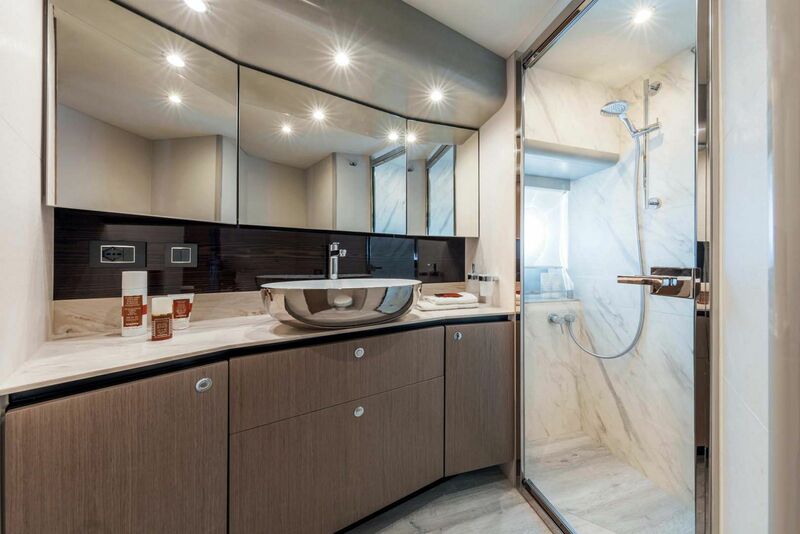 The difference is that the master suite is now forward with an offset island berth facing across the boat with an ensuite bathroom tucked alongside it. 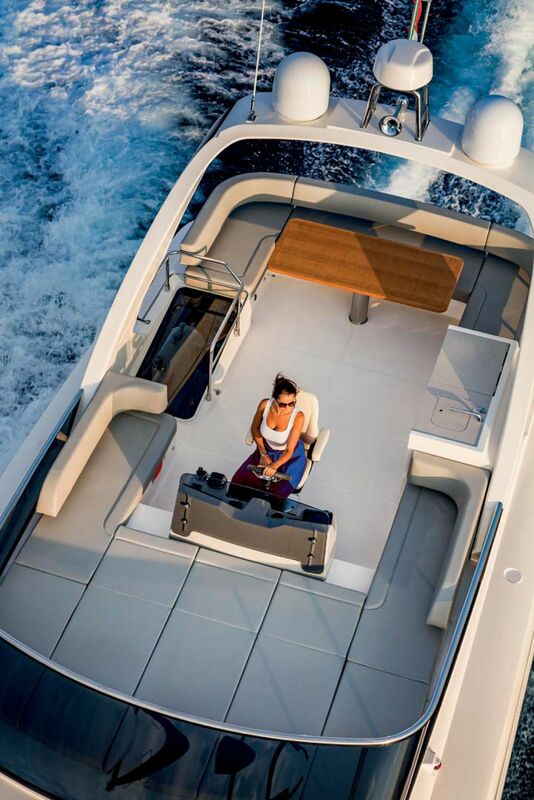 It’s a clever solution that works. 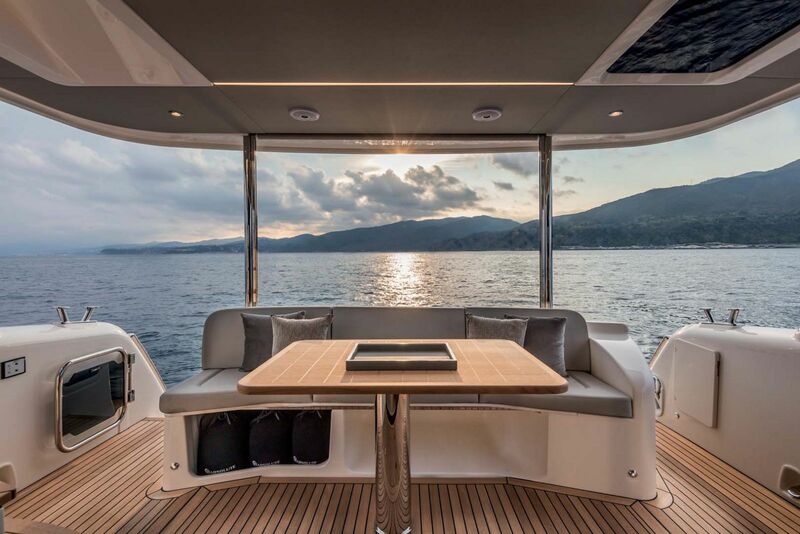 The sociable lounging and dining area forward makes for a very usable entertaining space. 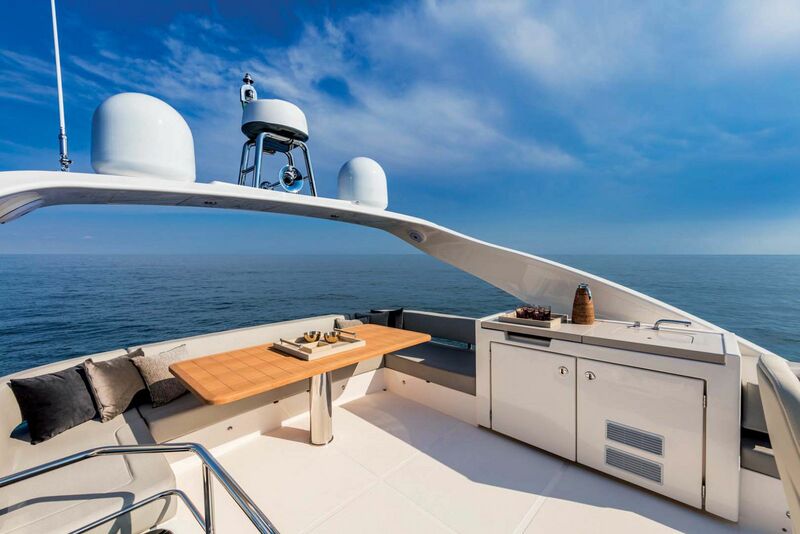 The same holds true of the bridge, the entire perimeter of which is surrounded by either seating or sun pads, wetbar and the bimini shade can also be upgraded to a hardtop if required. 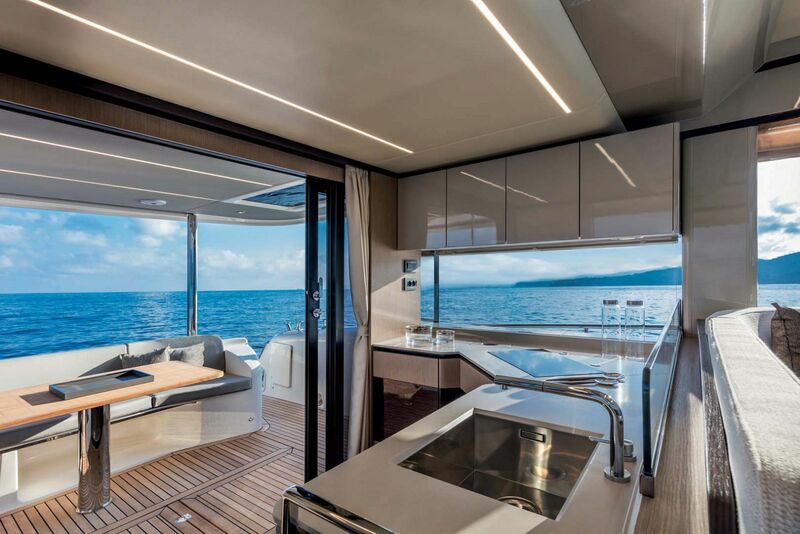 All of Absolute’s new creations – the Navetta 48, the Navetta 73 (the flagship of the line) and the 58 Fly – can rely on a highly evolved production site, equipped with cutting-edge tools and technology along with advanced lamination and woodwork departments with automated and numerically-controlled machines. 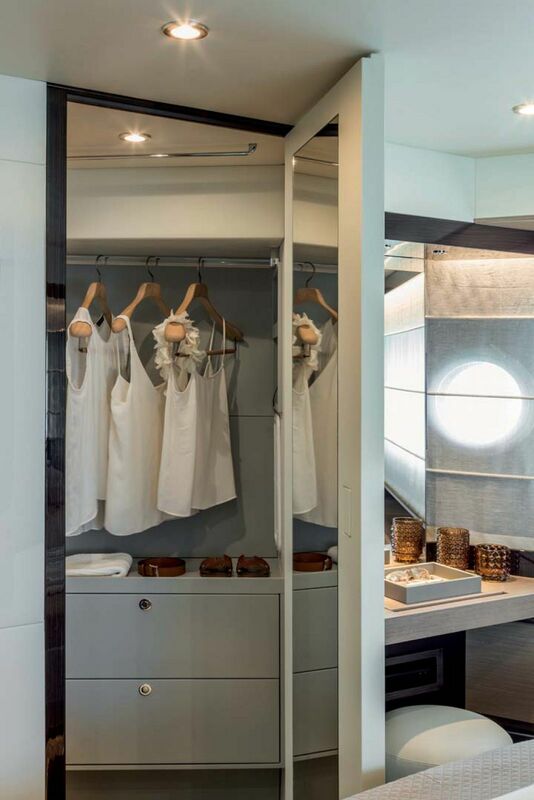 Since 2012, turnover has constantly registered a double-digit growth. 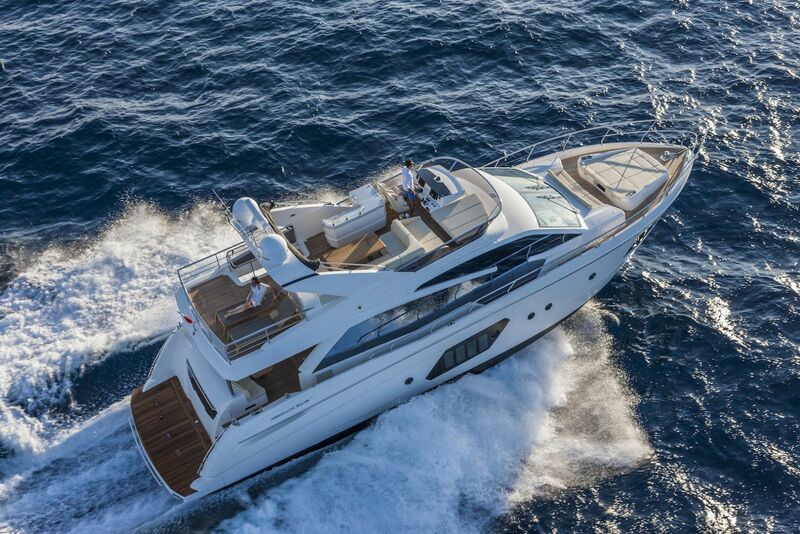 Such satisfying achievement has been possible thanks to Absolute’s attractiveness to global customers.